The module adds handy customizable quick-links to the admin panel. Enable prompt and simple navigation through frequently used backend pages. Allow sharing bookmarks or give separate access for each admin user. 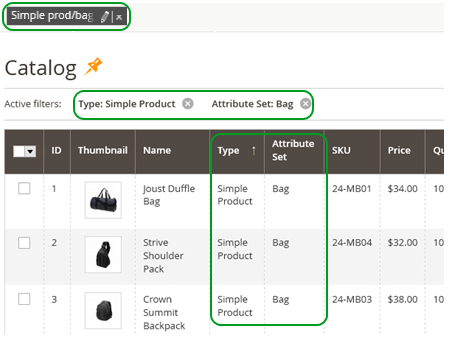 Navigation around the admin panel is a daily routine in e-commerce. This process can be quite slow and irritating if you need to come back to the same orders, customers, products or CMS pages over and over again. This module is designed to save your time and optimize your work. Instantly save any URL to a handy bar at the top of the admin panel. Now you can reach any page in just one click without wading through navigation grids. When quick links are not needed anymore, you can easily remove them. Click on the pin to bookmark a page. When the page is already linked, pin sign turns yellow. If you work with customer segmentation or products with different parameters, you probably apply filters every time viewing a page. This process can be quite time consuming. Bookmark a page when filters are already applied; the preferences and the data will be saved and reachable through the quick link. If you choose a store view and then bookmark a page, this bookmark will be saved only for the selected store. It’s possible to rename bookmark tabs to recognize the saved info at one glance. It comes in handy when you save the same page with different filters, for example. If ‘Share bookmarks’ option is set to ‘No’, each of the backend users will be only able to create their own set of bookmarks. Users will not be able to view or use anybody else’s marks. It helps keep backend comfortably sorted for each user and differentiate the work at the same time. If ‘Share bookmarks’ option is set to ‘Yes’, you can display all bookmarks for all users. This option will make all bookmarks common for all your staff. Quite handy feature when all the team works on the same project. Excellent. As all extensions by Amasty. It's small and very useful extension, which allows for fast navigation across the admin panel. I have many extensions from Amasty and they all are just great.